What Are You Reading This Week End? 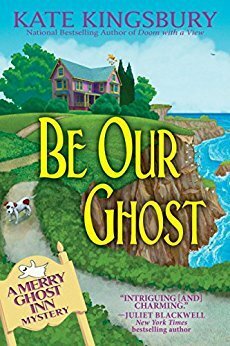 If bed-and-breakfast owners Melanie and Liza, along with their laughing ghost tenant, can’t find a real estate developer’s killer, their own estate will end up with their next of kin. These all look so good. I just finished one that was excellent. Chariot on the Mountain by Jack Ford. Based on real events this one was a History lover’s dream! I’ll be headed back for another eye surgery on Monday, so excuse me if I’m a bit slow next week! Enjoy and let me know if you have a good book I should read! 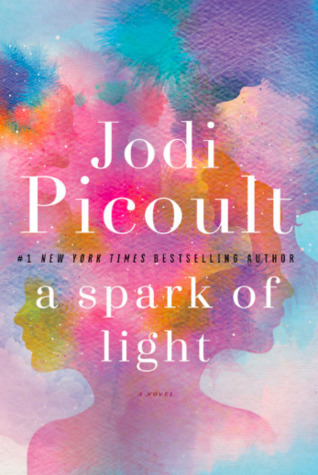 How did you get Jodi Picoult’s new book?? I agreed to read it in exchange for one I really wanted. I cut a deal. That’s so cool! I really want to get my hands on an early copy. Best of luck for your surgery. I’m trying really hard to finish The Casual Vacancy this weekend! Ooh let me know what you think! I thought it was pretty nasty (in an interesting way) and thought it was a great character study. 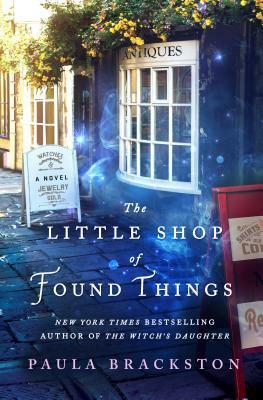 I hear really good things about the Little Shop of Lost Dreams! I’m reviewing an AVC of a crafting book, which looks set to be hilarious as I’ve roped in my best friend to try some of the activities (and we are not crafty people), and re-reading an old favourite: Coastliners. Hope your surgery goes ok! Sounds like fun! And Thank you! I’ve become an ultra-serious git of late, so I’m reading a lot of nonfiction, but laughing my way through John Hodgman’s Vacationland. I have an odd, deadpan sense of humor. My laugh-out-loud might be “meh” for someone else! I’m a big fan of deadpan humor! I tend to read documentaries. Boring – I know. But one book that I would suggest would be Exile on Main Street: A Season in Hell with the Rolling Stones. If you like the Stones, or rock n’ roll, it’s a great look behind the scenes. Thanks I do like the Stones. I just finished a documentary type book of the USS Indianapolis. Good! OH that was pretty good. Thank you so much. Have a great weekend too! What??? I must find that one! be our ghost sounds soooo good! Oh yes! I love that book. I’m missing my Harry Potter fix, so I picked up the first book of the Magisterium series called, “The Iron Trial” by Holly Black & Cassandra Clare, the main character has a mop of unruly black hair just like Harry! I’m really into Provence now so I’m reading Swimming Home, an intriguing little book. 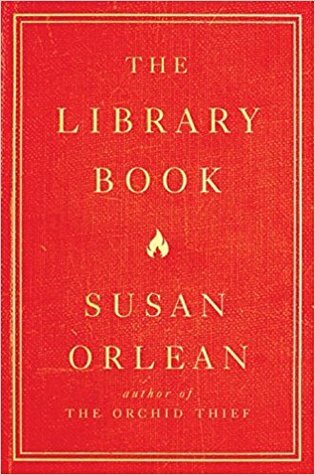 Susan Orleans book looks fantastic as does The Little Shop of Found Things. Thanks! I am reading the third book in the series Legend of the Lumenstones written by Tanya Cliff, Daddy edited by KE Garland and a book by Preston Child, the Einstein Equation. Sun Also Rises. Re-visiting Hemingway after a long break. The Water Cure by Sophie Mackintosh. Very unusual start so far! I finished reading Jodi Picoult’s Small Great Things. It was beautiful. And the work’s so introspective at the same time. Absolutely loved it. Haven’t read a Jodi picault for ages but they always make me think. I so want to read this!!!! Maybe my local library has a copy… Oh, fudge it! I’ll splurge next time I get paid. I’m reading The Illuminae Files by Amie Kaufman & Jay Kristoff! iam currently reading HAMLET by shakespeare. Its amazing and so is your content! iam a newbie can you check out my blog and tell me my drawbacks? it would really help me a lot. Thank you have a good day. I mentioned a few books in my recent blog post! Great reads. I’m working on A Tree Grows in Brooklyn as a book club pick. So good! A spark of light looks like an interesting read. I enjoyed A Tree! A Spark of Light was okay. While in Tbilisi I found “Gulag- a history” by Anne Applebaum. Excellent reading and lots to learn. That’s a new one for me. I’ll have to read that one! It’s absolutely beautiful. I hope you love it! Best of luck for your surgery. Great. Book is good for relax time.